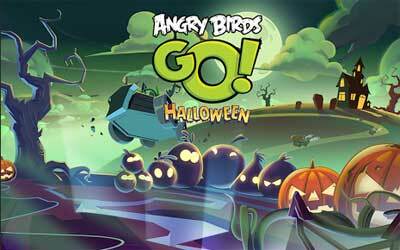 Another game which popular in Android is Angry Birds Go APK 2.1.6. It allows you to experience the racing game downhill on Piggy Island. The main principle of this game is that you just need to race through each track as fast as possible. Exceed the competition of this racing game to get many rewards. When you are able to go faster, you can get new supercar by upgrading the karts. You can also play this game with multiplayer feature. In the Angry Birds we are talking about, of course, the character available to be chosen for the race is birds such as Terence, Stella, and Chuck. The pigs character is also available such as Moustache pig, King pig, and many more. It comes in colorful 3D world that gives you the experience of Piggy Island racing like real. You can attest your racing skill in different five game modes: Time boom, Champion chase, Race, Versus and Local Multiplayer, and Fruit Splat mode. In Champion Chase, you can have battle with unlock able character and obtain three wins to own those characters. Since each character in this Angry Birds Go Racing game has their special power, you can beat other racers differently to get the victory. In the Telepods feature, you can teleport the favorite character of yours in the race. The game which provides many racetracks such as off road race and stunt roads will give you a challenging race with more pleasure. You have to watch out for mischievous racers as your opponent and the dangerous roads you will across. Besides, if you need to add more speed this game allows you to upgrade your cars with many awesome options. In three races, you are able to play in team of five racers to compete against the other teams. The fun power ups is also available in various types such as permanent boost, catapults, and instant repairing. Angry Birds Go for Android surely gives you the new experience of racing in different characters. Race as the birds and pigs in a 3D world! This update fixes some minor issues to improve your racing experience throughout the Island! Thank you for playing Angry Birds GO!